If you’re an Xbox 360 user that enjoys watching streaming video on the console in addition to playing video games, Microsoft has announced the addition of a new service. 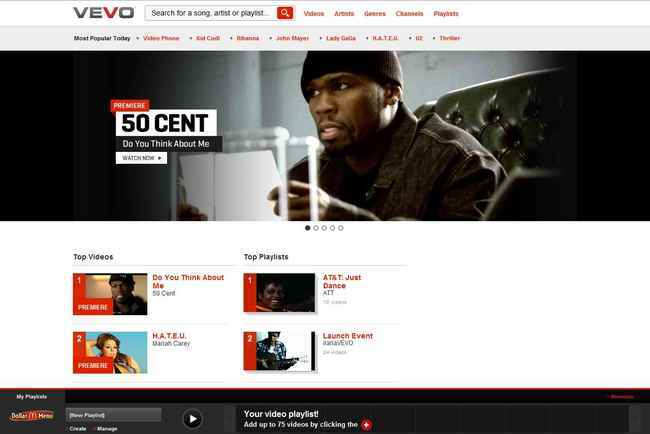 The Xbox 360 now has access to the Vevo premium music video and entertainment platform. I bet that will be welcomed by a lot of people who like to listen to music between gaming sessions. Vevo access will be offered in the UK, Canada, Ireland, and the US. Vevo has over 45,000 music videos by 11,000 different artists. The new video service can also be controlled using the Microsoft Kinect. With Kinect users can control the service using their voice. To access Vevo or any other streaming video content using the Xbox, you have to have an Xbox Live Gold membership. You also obviously have to have a broadband connection. It’s not clear if Vevo is coming as part of a software update.